Sydney Airport (SYD) is located 8km from the city centre of Sydney. The airport provides two transport options to get into the city; by train or taxi. A Sydney airport taxi ride into the city will cost approximately 28.30€ (AUD$45) and take 20 minutes in normal traffic. The train from the airport will cost 10.50€ (AUD$16.70) and take 13 minutes to reach the city's central station, which will link you to the rest of the city. 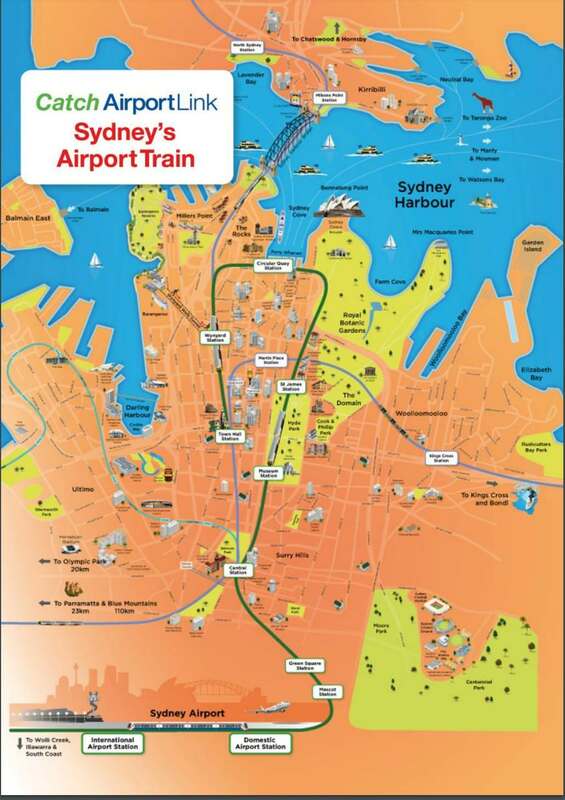 The airport train stations are located at both international and domestic terminals at Sydney Airport. The trains are efficient, taking only 13 minutes to reach the city centre station. From here you are able to walk to many popular locations in the city centre. 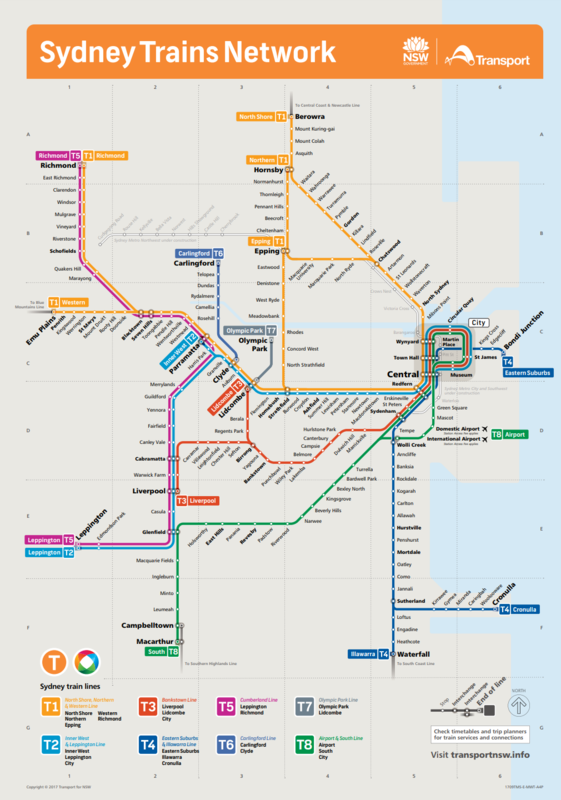 How much does the train from Sydney Airport to the city centre cost? The fare for the train is high for an airport transit and it will cost 11.70€ (AUD$18.50), which includes a gate fee for station access. There is around a 10 minute wait for the train. The trains are available from both Domestic and International Terminals - accessible in both cases from the arrivals terminals. The train is a quick method of getting into the city, but does come with a price and is more expensive than most usual methods of public transport. However, the trains do leave regularly and have long operating hours, but can be busy after large flights or during peak times. You are not able to purchase a ticket by any other means other than by Opal card when taking the train, but it can be used on many other transport options in the city (bus and lightrail). 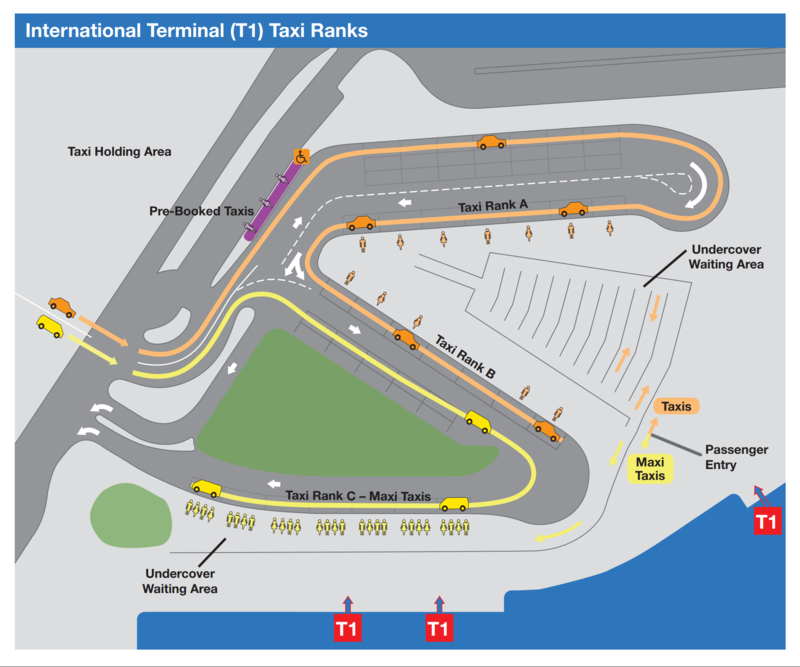 Taxi ranks at Sydney Airport are available outside of each terminal at designated ranks, which are looked after by supervisors who smooth out the process during peak hours. The drivers will not leave their cabs - so you need to talk to the supervisor about your requirements. The journey via cab should take 20 minutes into the city centre in normal traffic. The taxi journey in the city will cost between 28.30€ (AUD$45) dependent on final destination and traffic. Night-rates will be in effect from 22:00pm - 05:59am, therefore a journey on to the centre will cost around 34.70€ (AUD$55) on this rate. An additional AUD$2.50 will be added to the final fare between these times on Friday and Saturday nights. Taking a Sydney airport taxi into the city centre is the most convenient option for a comfortable and efficient transit. Taxis come in a variety of sizes and are well monitored so you can be assured that you will safe to take a cab at any time with ease. The taxis at the airport are regulated by kerbside managers who will supervise the queues waiting for a taxi. They will communicate with you for your needs, help with your luggage and talk to the driver on your behalf if needed. There is a AU$3.50 toll payable for anyone leaving the airport by taxi. You must only take the taxi from the rank, there can be a fine if you take it from anywhere else. How long does the train take from Sydney Airport to the city? The train leaves from the airport terminals and takes around 13 minutes to reach the city central station. The train leaves every 5 - 10 minutes. How much is the train from Sydney Airport to city? The train will need to be paid with an Opal card and the cost will be 11.70€ (AUD$18.50) for the journey. How much is a taxi from Sydney Airport to city? A taxi from the airport is metered and therefore the price can vary - but the cost will likely be around 28.30€ (AUD$45) for the 20 minute journey to the city.